Spring 1 Week 3- A Raging River! 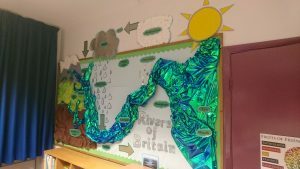 Over the past couple of weeks, Class 3 have been learning about Rivers. 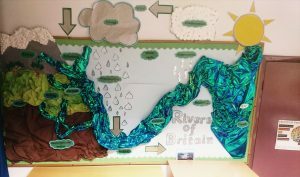 Last week, we discussed all the features of a river. 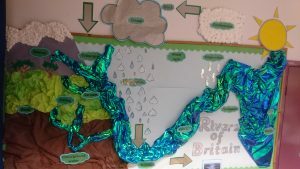 This week, we have learnt all about the features of the water cycle. 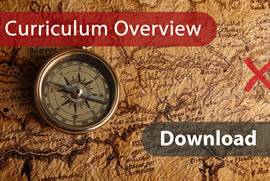 All of Class 3 have done extremely well remembering the key vocabulary. We are now lucky enough to have a fantastic display to remind us too! ← Spring 1 Week 2- Balancing Beams!